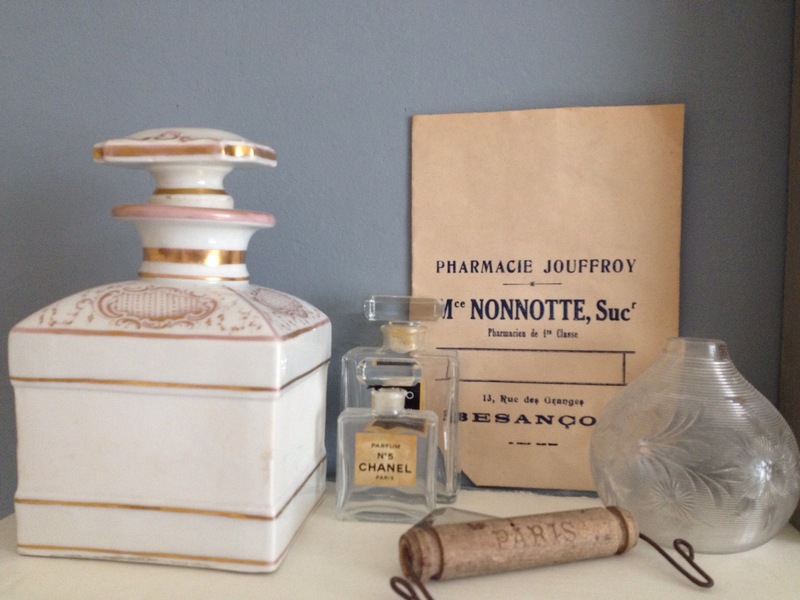 Add a little French glamour with some old perfume bottles and text! A instant romantic feel. Image taken from my own collection collected over the years from vintage markets. Previous Previous post: Pattern cutting wall. Next Next post: Old French receipts!